Beyond Salsa Percussion reviewed in Modern Drummer! Great news! Check out the September issue of Modern Drummer, p. 20, for a full page review of Beyond Salsa Percussion. This is Calixto’s second time in the world’s most important drum publication. He was featured in the June 1994 issue as part of a series on Cuban drummers along with Changuito and Enrique Pla. 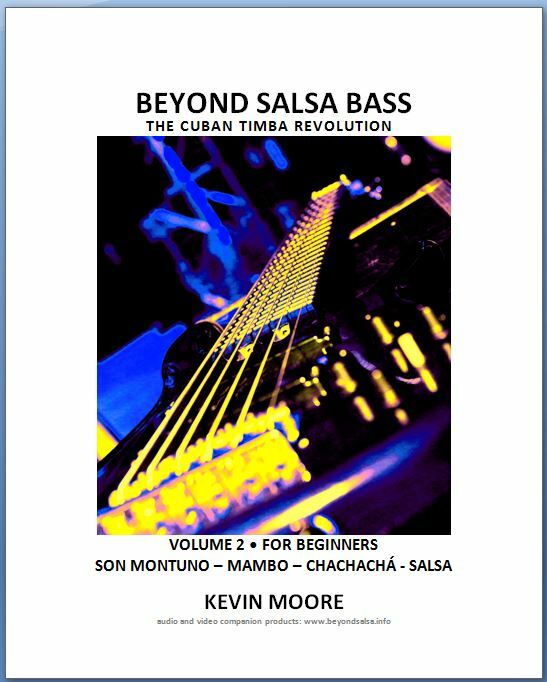 In other news, the notation and basic layout for Beyond Salsa Bass, Volume 2 are finally done and the proofreading and photo adding stage is beginning. My original plan had to be changed, bumping the roots of salsa, Dizzy & Chano and Descargas of the 50s back to Volume 3. I had already hit 200 pages by the time I finished the compatibility tumbaos for BS Piano Vol. 2 and the massive chapters on Arsenio and Cachao. There should really be a whole book on Cachao and a Game of Thrones-length septology on Arsenio. Every time I come back to him, I find fresh evidence of the massive scope of his genius and of the divine chemistry that occurred during his years with Lilí Martínez. Listening recommendation: the original Social Club Buena Vista danzón from Cachao’s 1959 LP La leyenda, Vol. 1. I wish I’d discovered that album earlier so I could have mentioned it in the danzón sections of Bass Vol. 1, Percussion Vol. 2 and BS Beginners, but better late than never. The whole album is sublime. It’s not abrass and winds bands like the orquesta típicas of the 1900-1920 period; nor is it a charanga francesa like Arcaño, Fajardo, Aragón et al. It’s more like a chamber orchestra with bass clarinet, flute, clarinet, and strings. The bass clarinet makes me think of Juan de Marcos’s new arrangements with his daughter playing that instrument, but the whole ambience also reminds me of Debussy and Brian Wilson’s studio instrumentals of the mid-1960s. Cachao breathed new life into the by then cliché heavy danzón on this album – each track is a beautifully orchestrated composition with very original harmonies. Beyond Salsa Bass, Vol. 2 continues where Vol. 1 left off – with the incredible Arsenio Rodríguez – arguably the most important Latin music figure of the 20th Century, and, as he’s called around timba.com, “Timbero No. 1″. This time the topic is cierres – the 1940s name for bloques/efectos – and the world-changing diablo sections that followed them. I’ve found 54 examples of these in Arsenio’s Cuban recordings and transcribed the cierre/diablo sections of all of them. There’s also a theoretical introductory section that explains the rhythmic tools used to understand Arsenio’s cierres and invent your own. This massive section is almost done. Next will come bass tumbaos for compatibility with the sister volume, Beyond Salsa Piano, Vol. 2, with some added history musical exercises on the other towering giant of early Cuban bass-playing, Israel, “Cachao” López, including his famous descarga sessions recorded after leaving Arcaño y sus Maravillas. I originally planned to also add a section on Dizzy Gillespie and Chano Pozo and another on the 1950s roots of salsa in Puerto Rico and New York – the two Titos, Cortijo, César Concepción, Mon Rivera and of course Machito and his Afro-Cubans. Depending on how much space is taken up by Arsenio, Cachao and the piano-compatibility chapter, some of this may be pushed back to Volume 3, originally planned to cover the rest of salsa and Cuban music between the Revolution and timba, leaving Volumes 4 and 5 to tackle the incredibly important role of the bass in timba and completing the series of prequels to the already-published Alain Pérez books. And lest I forget, I have enough material for two more volumes on Alain! So much to do! Fortunately for all of us, there’s a new force in the Cuban bass education world, Ian Stewart of Chicago. 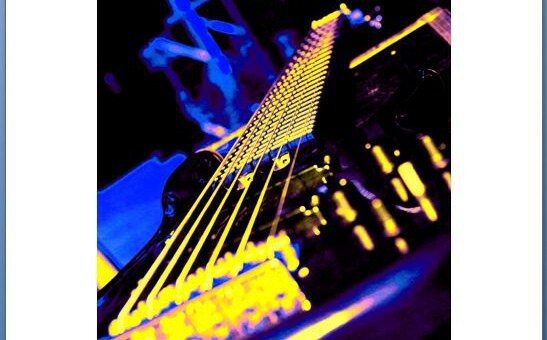 He’s well into a massive project on the bass styles of the first three Bamboleo bassists. Much of his work will be published in installments on timba.com and eventually productized as well. I’ve seen some previews and it’s amazing! Enjoy! I’m really happy with this one – Tirso is off the hook. Tirso Duarte Book is Done! I finally finished and uploaded Beyond Salsa Piano, Volume 14 – Tirso Duarte Pt. 1 – The Piano Tumbaos of Charanga Habanera 1998. It will be up at amazon, createspace and latinpulsemusic.com soon. Endless thanks to Andrés Espinoza, Keith Johnson, Robert Fernández, Leonel Rogier and everyone else for all the help. It takes a village to get one of these suckers finished. Meanwhile Beyond Salsa Bass Vol. 2 is about 25% done. No rest for the wicked. We have Havana d’Primera on Fri/Sat and Yoshi’s, Mayimbe on Sat (starts at midnight) and Sunday at Cócomo, Havana d’Primera at Kuumbwa in Santa Cruz on Tuesday the 4th and Pedrito Martínez coming to SF Jazz and Kuumbwa the following week. Meanwhile, the Tirso book is at about 170 pages and very nearly done – not more than a week or two away. Calixto Oviedo filming this week! Calixto is in CZ with Vasík Greif filming the parts for a new educational product – no connection to Beyond Salsa, but it’s an amazing new educational breakthrough by a company called Tutti. (Follow the link to learn more). You can see video of 3 or 4 musicians playing (in this case it will be three or four Calixtos!) and you can click to solo any combination, watch music scrolling by and so on. Watch this blog for more news on this. A new revised edition of Beyond Salsa for Ensemble has been published. If you bought the eBook, your LPM account will be updated over the course of the next month, so you’ll be able to log in and view the complete new version. The changes are in the music notation of the El buenagente charts. None of the efectos or text has been changed. The changed pages are also in the PDF linked below, so if you printed the eBook or bought the paperback book you can simply download the PDF and you’ll have everything up-to-date. Special thanks to Andrés Espinoza for finding and proofreading the errors. A reader (thanks Andrés) found some musical typos in the 8th note versions of the El buenagente charts at the back of Beyond Salsa for Ensemble, so I’ll re-releasing it tomorrow as Version 1.1 on both amazon and LatinPulse. If you bought it on amazon, there will be a PDF at this blog with the 8th note charts that you can download and print. the only change on the 16th note version was a single A natural in trombones, just before coro 1 – it’s pretty obvious and you could fix it by just pencilling in the natural sign if you don’t want to waste the toner re-printing the page. The 8th note version however will have to be reprinted as shown. It has to do with good old Finale not doubling the value of a “default whole rest” when you double the values of all the others.